ELLSDOUG: A book too far? I LOVE BOOKS...there, I said it! 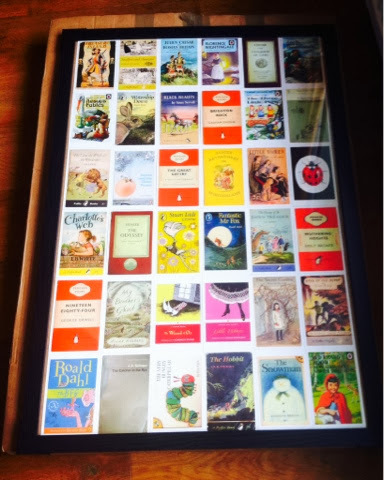 Books have always been a huge part of my life (soppy, I know) and it's not just the reading part that I enjoy. I love the process of picking out a book, I love physically owning that book, I just love everything about them! I am however beginning to wonder if my obsession has gone a step too far! 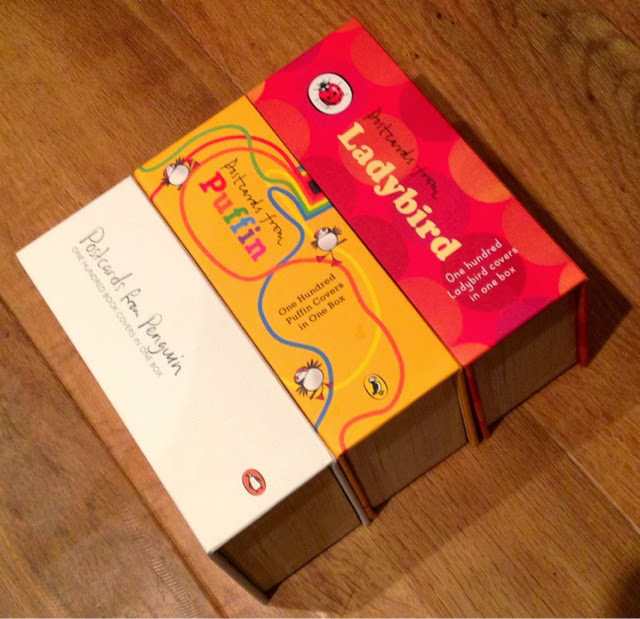 These three lovely boxes above together contain 300 postcards, each with a different penguin/puffin/ladybird book cover. You may ask why I chose to buy this, and I still ask myself that very question! They serve no real purpose as I rarely send postcards but recently I purchased a poster frame so I decided to frame some of my favourite (see first picture) and I actually really like it! I love books so why shouldn't I use them to decorate rooms? But I still have over 200 postcards to work with and hundreds of books filling up my very small room! Do you have an all consuming obsession? Does anyone have any ideas for how to use books as room decoration?